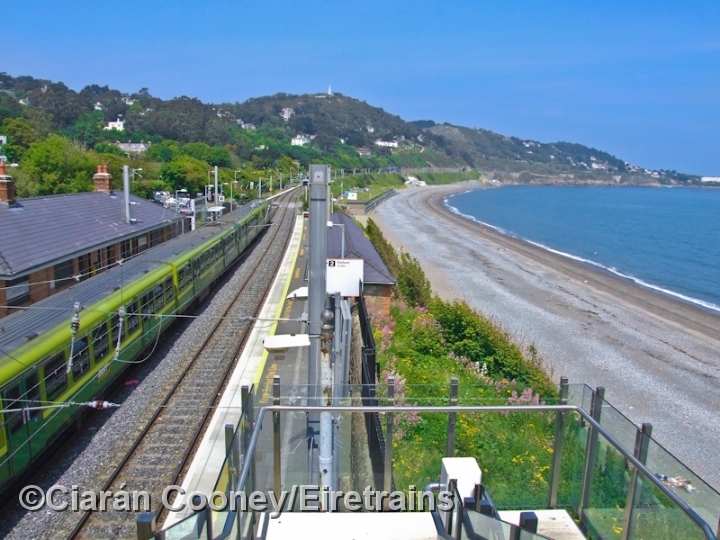 Killiney, south Co.Dublin, is well known for its scenic views and sandy beach, as well as its grand exclusive residences. 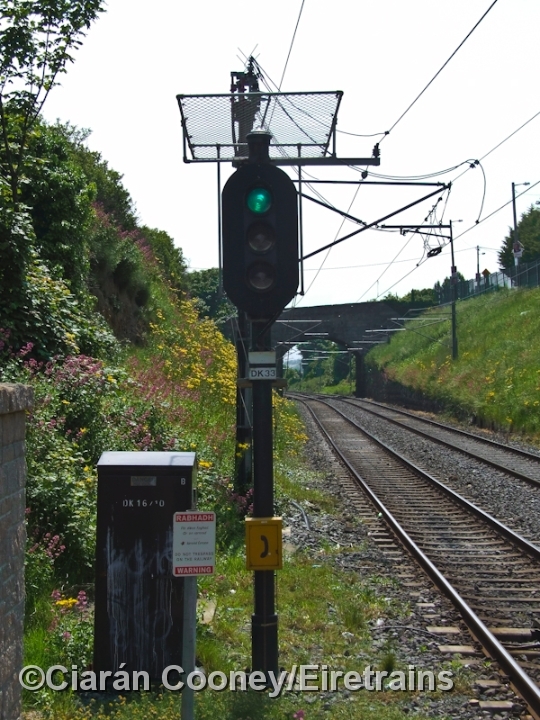 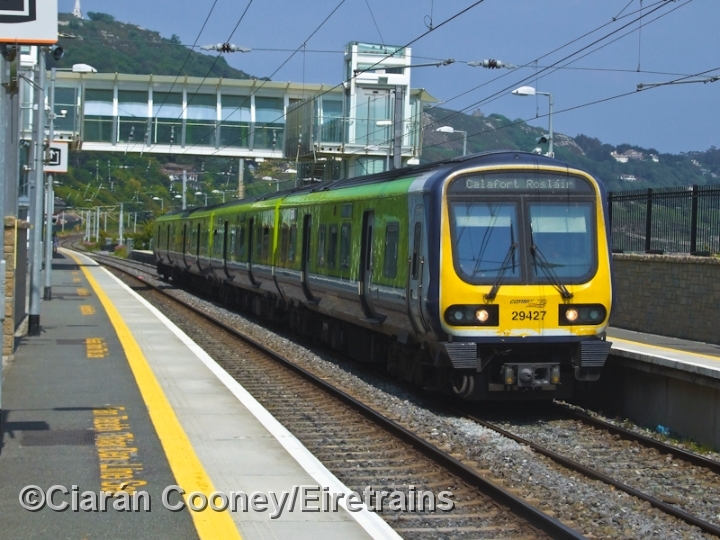 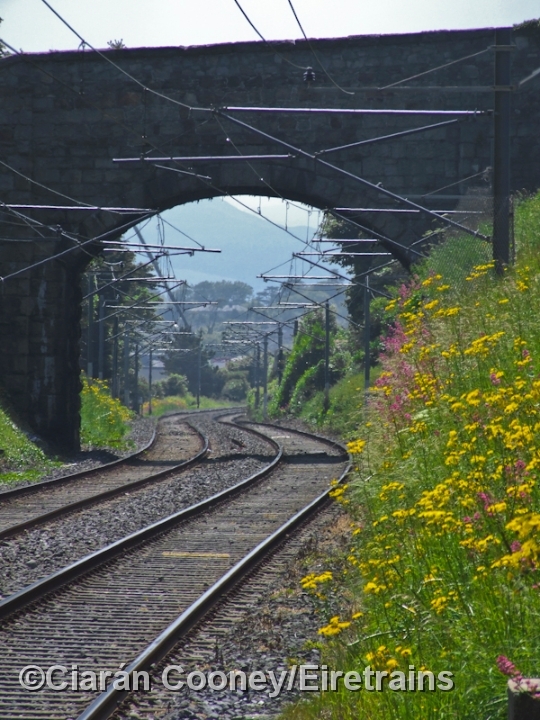 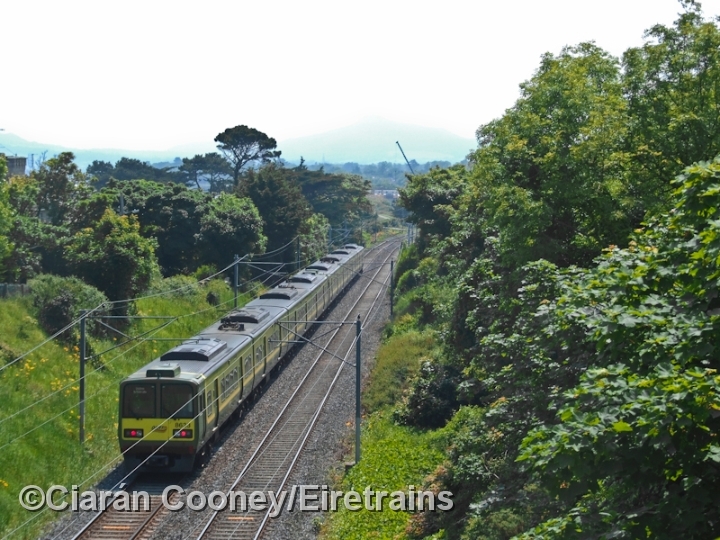 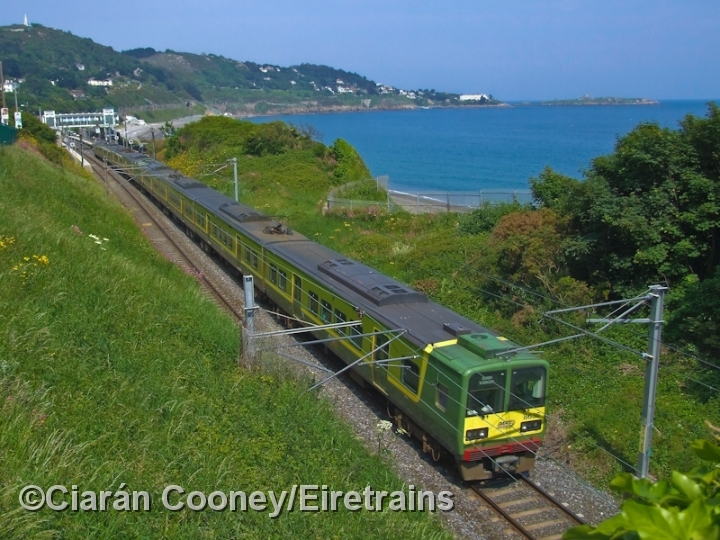 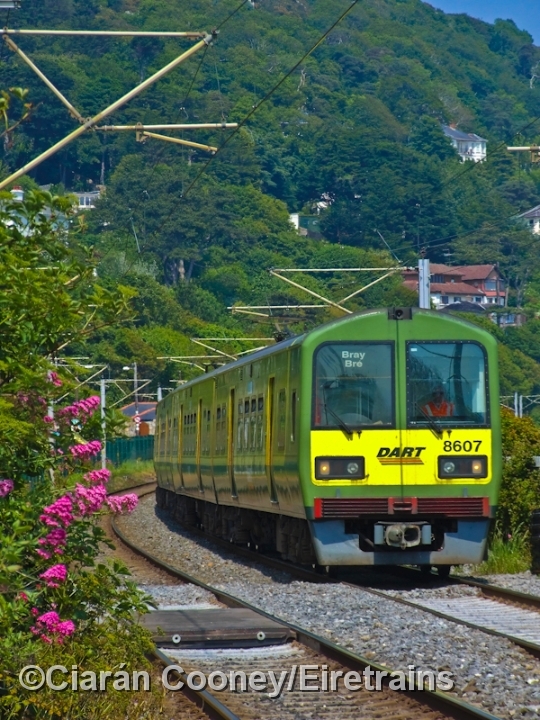 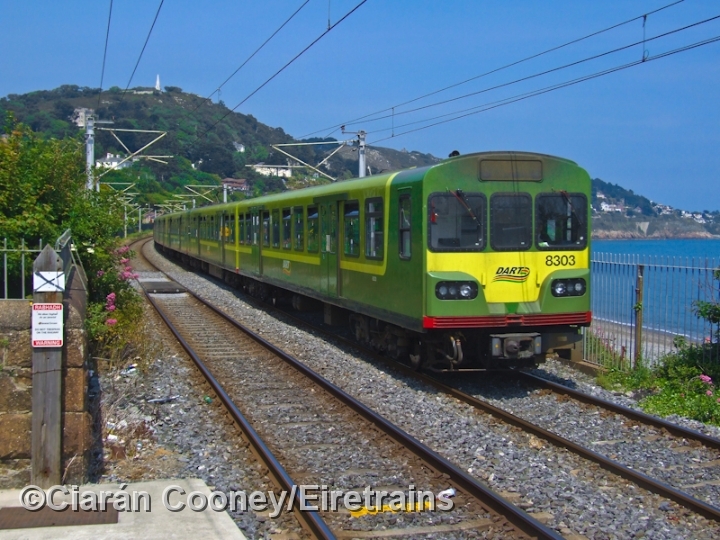 The railway through Killiney was constructed by the Dublin & Wicklow Railway in 1854, and runs high above Killiney Bay on a narrow ridge of embankments and cliffs. 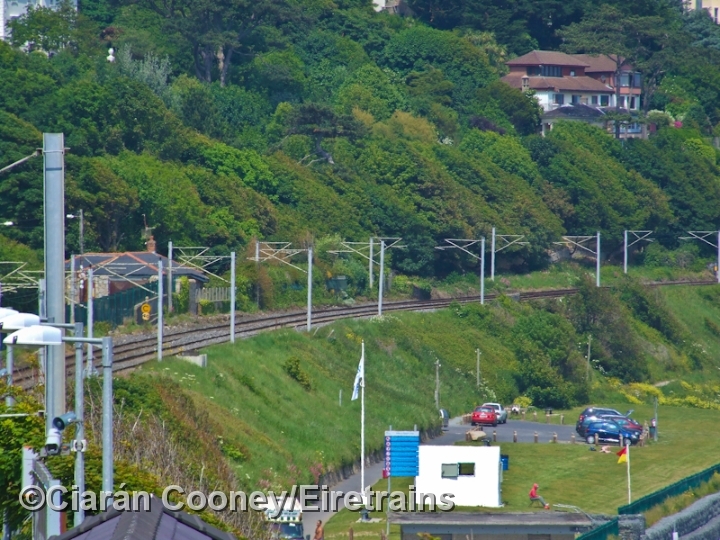 The D&WR first provided a station here in 1854, when the line was been extended south towards Bray. 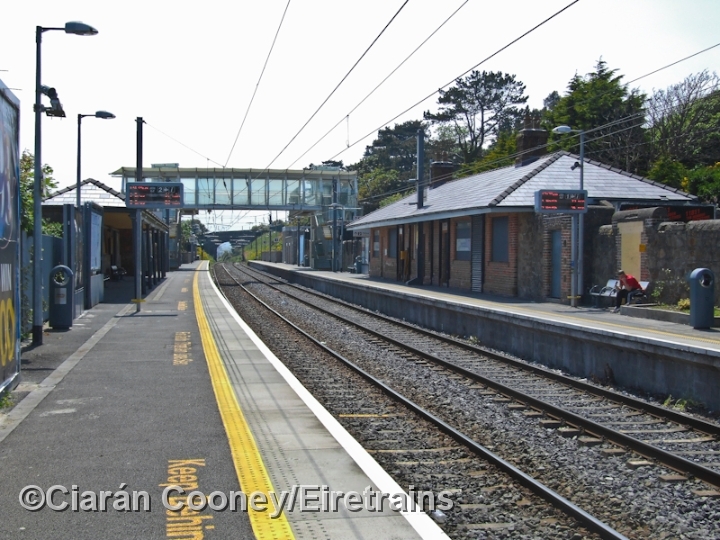 The 1854 station was rebuilt in 1858, and consisted of a single storey station building and up & down platforms. 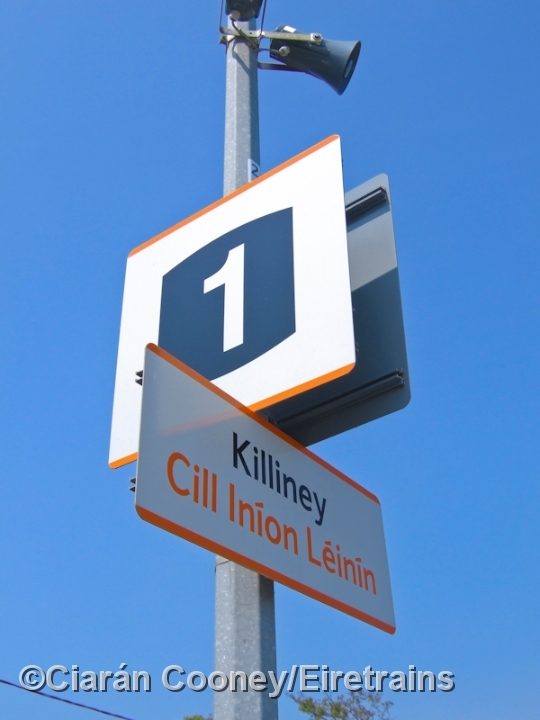 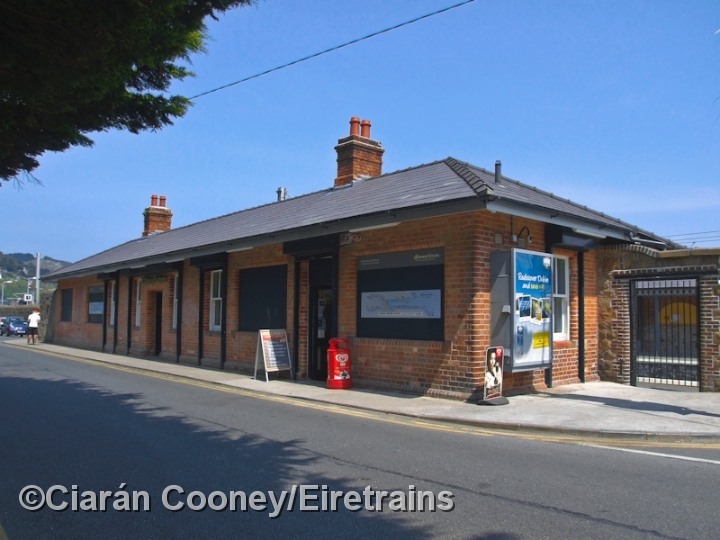 In 1882 however, this station was closed and a new one opened just south of the original to serve both Killiney and Ballybrack areas (Ballybrack's own station having also been closed). 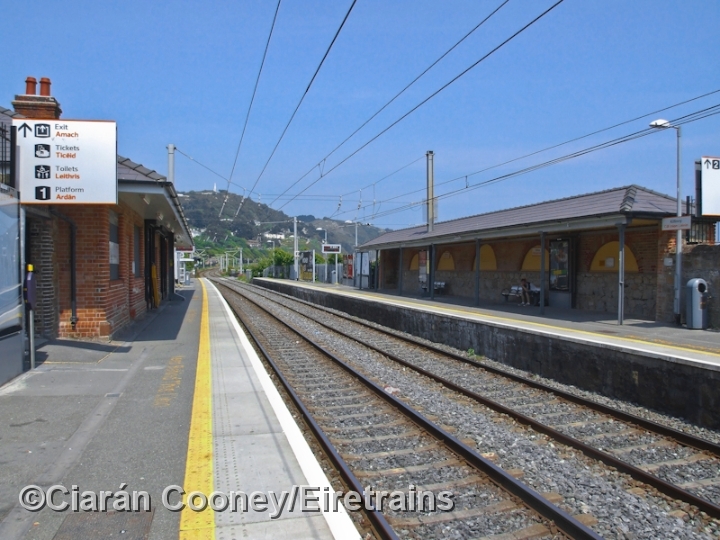 The present 1882 station at Killiney also has up & down platforms. 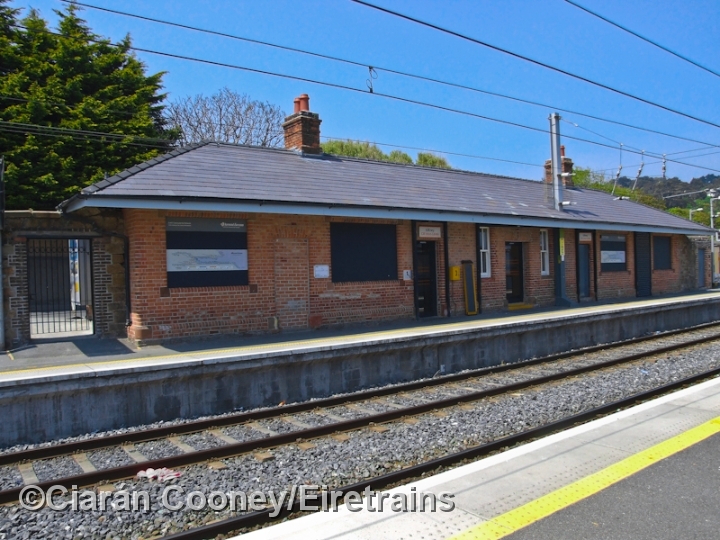 The single storey brick station building is located on the up platform, while a lengthy waiting shelter is provided on the down. 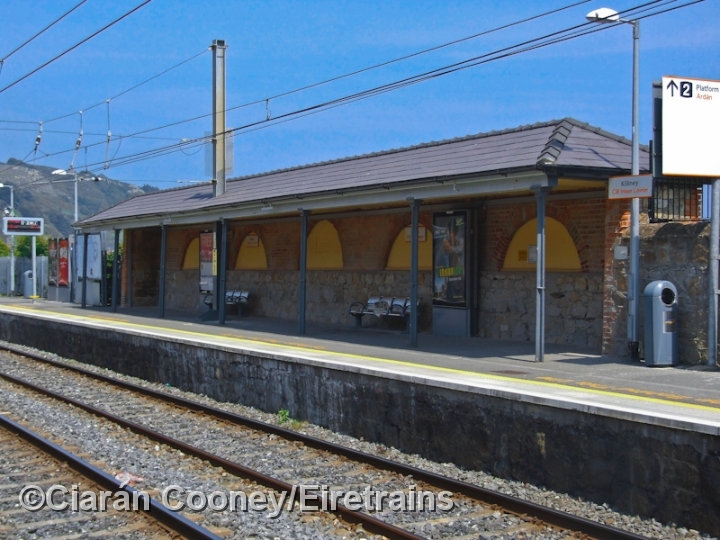 The Dublin & South Eastern 1923 built signal cabin at Killiney, located at the south end of the down platform, was taken out of use in 1983 with the introduction of CTC for the DART services which commenced in 1984. 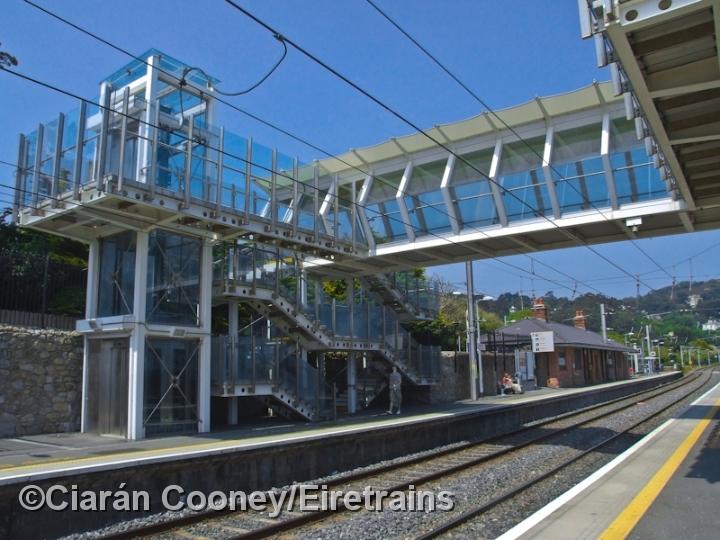 More recently, the DWWR footbridge was replaced by a modern glass and metal structure as part of the suburban upgrade for the DART.